Odyssey FZ45120 Flight Zone LP Case DJParts - All Variety of Parts that DJ Needs. This cool ATA Flite-Ready case features two individual compartments that hold a total of 120 7" records. 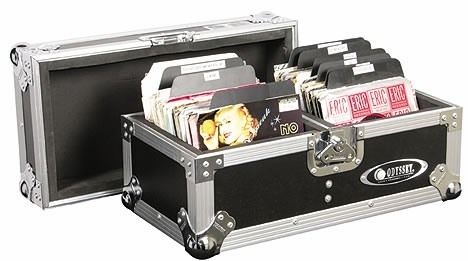 Chrome plated hardware and a removable foam padded lid gives your 45s the ultimate in protection.